Ever now and again I am intrigued by what might lay between the covers of a memoir and one such an intrigue is slated for release August 29, 2008. 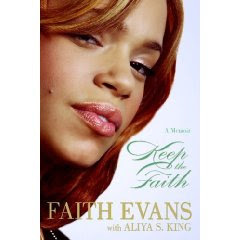 This book is entitled Keep the Faith: A Memoir and it is written by Faith Evans herself, with contributions by author Alyia S. King. For years the name Faith Evans has been synonymous with that of her late ex-husband Notorious B.I.G., but it appears that this memoir will introduce us to the long before and the ten long years after woman who has lived and continues to live a life that is worthy of its own recognition. So, I'm awaiting the dropping of the new memoir and I have a fairly solid feeling once I pick it up I won't be able to put it down until I read the last page. Keep your eyes peeled and glued to the TV while watching the new reality show, Family Foreman! Don't know if you'll see it, but there is a Leroy Allen painting in the background. Early on the producer's of the show contacted us to let us know it was a part of his collection and to get proper clearances should it be included. Great! 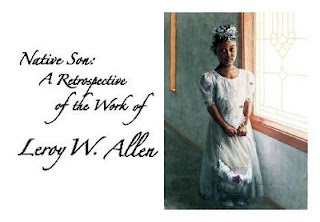 The painting itself is very poignant because it, like a number of Leroy's works, had special family significance. In this instance, the picture is of a country church and several of its patrons as they are leaving a Sunday service. A couple of the patrons are deep in conversation! The church is the church our grandfather attended -one he rode his horse to every Sunday and tied his horse up to a nearby tree until time to ride him home again. 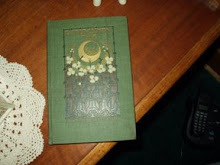 Our grandfather was also the subject of another major one of Leroy's works that is currently a part of a national tour. Our grandfather was from, and the church and patrons in the painting in George's collection, are located in Mississippi. So make sure to catch the show! It comes on Wednesday nights on the TVLand Channel. Picture in the background or no, it is a really fun reality show! This show opens tomorrow evening, July 11th, at the Kaw Valley Arts and Humanities Gallery in Kansas City, Kansas! This is the second exhibit of my late brother's works that I've coordinated. I am excited because this one is in our hometown. Wish you could be there! Come to think of it, why can't you be?